Heeeellooooo! 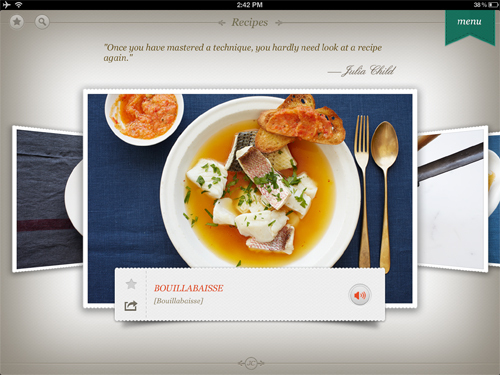 This week we celebrate the incredible Julia Child as we take a look at an iPad app that will hopefully introduce her passion for cooking to a whole new generation. I also introduce John Moore to the world of Pinterest and explore an iPad game that offers the best mobile graphics this year. 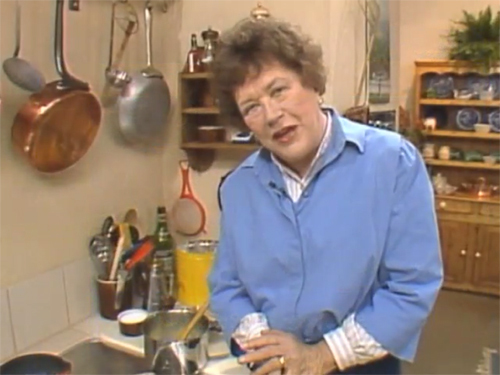 More than any other TV Chef, Julia Child can instill in you the confidence to take up cooking for the very first time. She has a playful determination and an instructional craft that communicates the rewards of practicing and getting techniques right. This month would have marked her 100th birthday, and so to celebrate, Random House Digital has taken a selection of her recipes from her cookbook Mastering the Art of French Cooking and combined them with instructional excerpts from her televisions series. The app takes advantage of the iPad by including French pronunciation guides, tool explanations, and a feature to create grocery lists that you can e-mail to yourself. My guess is that it would have been hard to justify including the entire cookbook for an app’s price and so for the rest of the recipes you’re directed to the eBook edition in the iBooks Store. You’ll also find selections from Child’s My Life in France and audio remembrances from people who worked with her. There’s great value here in having her television work linked to her recipes, enough that I hope we get a series of apps that continue through the rest of her cookbook, but for the price it’s an excellent introduction to Julia Child for anyone discovering her for the very first time. There’s been a lot of talk lately about Apple being a threat to the Nintendo, PlayStation, and Xbox businesses because of the way video game app sales have taken off while traditional game sales have weakened. Horn is exactly the kind of game to support this idea. 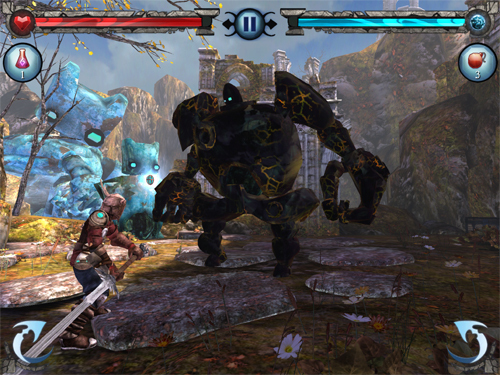 It’s a rich, theatrical adventure filled with gorgeous forests, waterfalls, and ruins full of secret switches and puzzles to solve while taking on sword battles against rock monsters. I like that the game avoids the usual grind by focusing only on battles with main baddies and the back-and-forth our hero horn has with a grumpy, decapitated, mechanical head he must carry around. 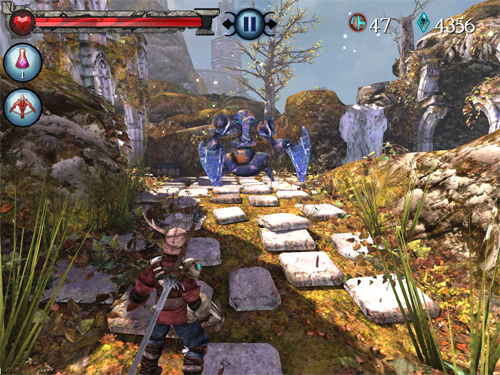 Unlike most mobile games, Horn offers such atmospheric visuals and theatrical music, it’s exactly the kind of game you expect to play in your living room. When you browse the internet, what do you do when you find something? 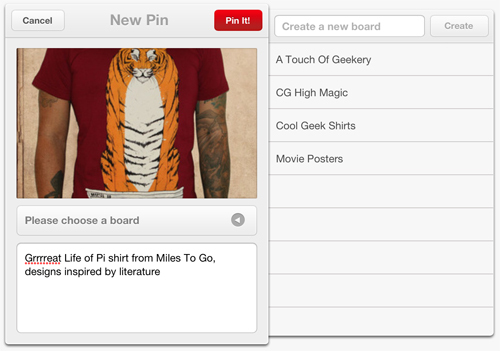 With Pinterest you can “pin” photos or videos, making a copy of each discovery that is then saved to scrapbook-like board. From there you can visually organize your items and create boards around specific projects, like items for a wedding, recipes for a diet, or a simple collections of dream cars and homes. 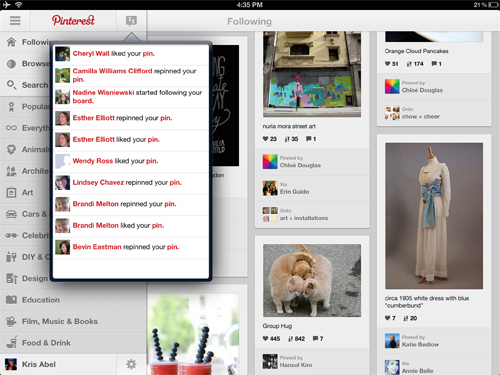 The app lets you follow other users to see what they’ve found and when you visit a website you can also take a look at what past visitors have pinned to their boards. Extremely popular for its clean look and catalogue-like layout, I like that it records links for each item so you can always find the website where it originally came from.